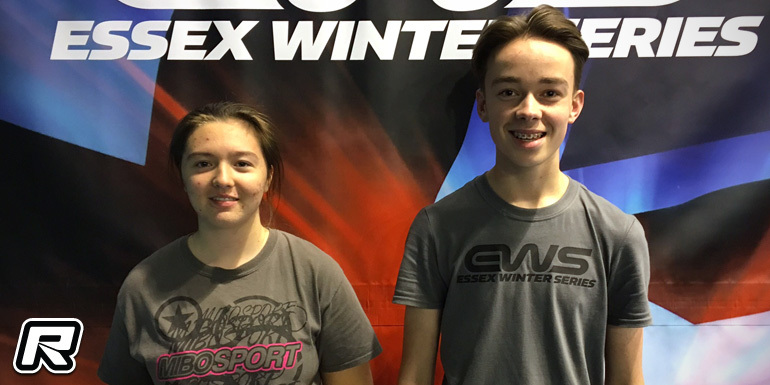 The second round of the Essex Winter Series took place this weekend. The popular championship once again attracted an almost-capacity entry, with well over 100 drivers competing across the two classes of Modified and Super Stock Touring. 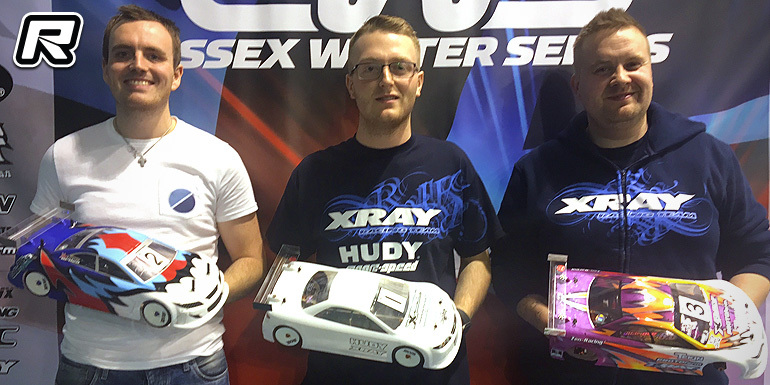 In the Modified class, the entry was bolstered by the attendance of Xray stars Alexander Hagberg and Olly Jefferies. 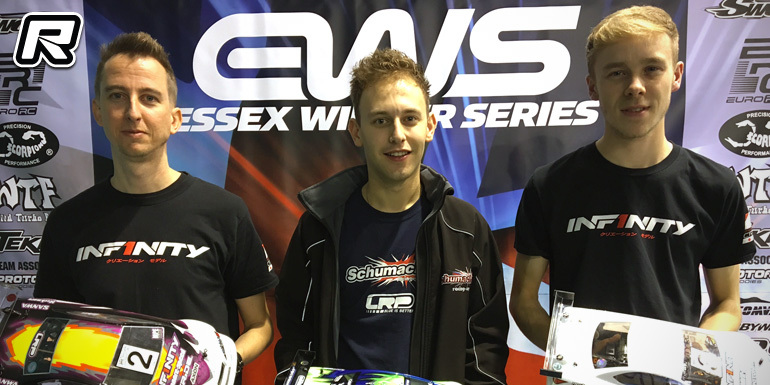 But it was round one runner-up Andy Moore who set the initial pace, topping the first qualifier from Elliott Harper, and the Xray team-mates of Olly and Alexander. However, this produced possibly one of the tightest qualifying results ever, with second to seventh places covered by one second. In Q2, Elliott took the upper hand, setting the best time from the Infinity pairing of Kyle Branson and Andy Moore, with Alexander fourth and Associated’s Chris Grainger in fifth. Elliott was again quickest in the third round, with the Infinity drivers reversing their positions as Andy was second and Kyle third, and Associated again well represented with Alan Bickerstaff taking fourth ahead of team leader Chris. The final round saw Elliott secure pole with another TQ run, Kyle again second ahead of Alexander and Olly. The A-final saw Elliott lead off from Andy, and the closeness of the field was evident from a solid five-minute freight train – no one quite close enough to challenge the driver in front, but wary of making a mistake and losing a spot to the driver behind. The only real mistake came from Olly at around the one-minute marker, a slight half-spin being enough to drop him from fifth down to eighth, from which he was able to recover a spot only on the final lap. Out in front, Elliott cruised to the win, being kept honest by Andy through the race, and Kyle finished in third, to replicate the podium from the opening round of the championship, and give Elliott a clear advantage in the overall standings. The Super Stock class saw returnee Zak Finlay top the opening qualifier from round one winner Tony Broad and defending EWS Champion Jimmy Maddison, for an Xray 1-2-3, with Ashley Wiffen fourth quickest for Schumacher. Zak again set the best time from Tony in the second round, with Richard King, one of the key EWS team members responsible for the build of the impressive track at each event, taking third with his Awesomatix, and Ricky Copsey (Xray) in fourth. It was Zak from Tony in Q3 as well, with Jimmy third and Richard fourth, and Zak completed a clean sweep in the final round, with Jimmy second, Tony third and Richard fourth. The top three had a clean start in the A-final, but trouble on the second lap saw Glenn Westwood up to fourth from tenth on the grid, as Richard dropped to last. Up front, Zak began building a lead as Jimmy initially battled with Tony, the two regular EWS contenders having a hard fight for the first half of the race, until Tony opened up a slight gap. Behind, Richard translated his speed from qualifying into the finals too, and worked his way back up to fourth by the end of the race, following an unfortunate retirement from Glenn with electrical issues. Zak completed a perfect event, leading every lap of the A-final with a degree of comfort as he took home maximum points. Harley Eldridge once again took home the Top Junior in the Modified class with another A-final result, whilst Bradley Coaker was the best of the juniors in the Super Stock class.